Writing anything more substantial than blog posts has been hard this year. Things that got in the way included: burn out; depression; general HE mission-drift/precarity/anxiety/malaise; having to design/validate/launch a new degree programme; spending time planning a large research project only to find my institution will not support a bid to the one source likely to fund it. Hopefully, I will find some energy soon since I have an article, a book chapter, a review and a magazine feature due in the next month; and another three essays, two reviews, and six keynotes and invited research talks scheduled before the end of the summer. Oh, and that co-edited collection I keep forgetting about. ‘African SF 101’, The SFRA Review (2015), 11–18; also here and here. This was also my most successful blog of the year: 1300+ views in one day, 4,250 as of ten minutes ago (about a fifth of my blog views for the year). It has also been translated in two parts (here and here) for the website of the World Chinese Science Fiction Association, China’s largest association for science fiction practitioners and fans. ‘Piqued Oil’, Salvage online (5 Oct 2015). ‘Milton Friedman: An Obituary’, Salvage 1 (2015), 225–229. Also here. This started off a long time ago as a joke and ended up being my first published fiction. In the giddy aftermath, I spilled out an actual story – exactly the kind of space opera/western/romance/mathporn mash-up with gratuitous Maverick, Flash Gordon and M. John Harrison riffs no one wants to publish – so for the counterfactual Ballard piece currently under concoction I have reverted to wilfully obscure material in a non-fiction format. I was interviewed for Alessandro Inglima and Yari Lanci’s Coded Skins, a documentary on the SpaceApe that is currently in production. Simultaneously made me feel really old, and all young and street. I was part of a panel on ‘Video Nasties’ before the UK premiere of Joe D’Amato’s uncut Anthropophagus, The Cube, Bristol, 16 September 2015. I introduced the 1930 sonorised version of Sergei Eisenstein’s Battleship Potemkin (along with Everyday, Vintik-Sphintik and Interplanetary Revolution) for Bristol Silents, The Lansdown, Bristol, 23 September 2015. I helped to organise Global Futures: On Science Fiction, featuring Bill Campbell, Zen Cho, Carmelo Rafala, Geoff Ryman, Stephanie Saulter, Donna Scott and Tade Thompson, at Book & Kitchen, London, 7 November 2015. 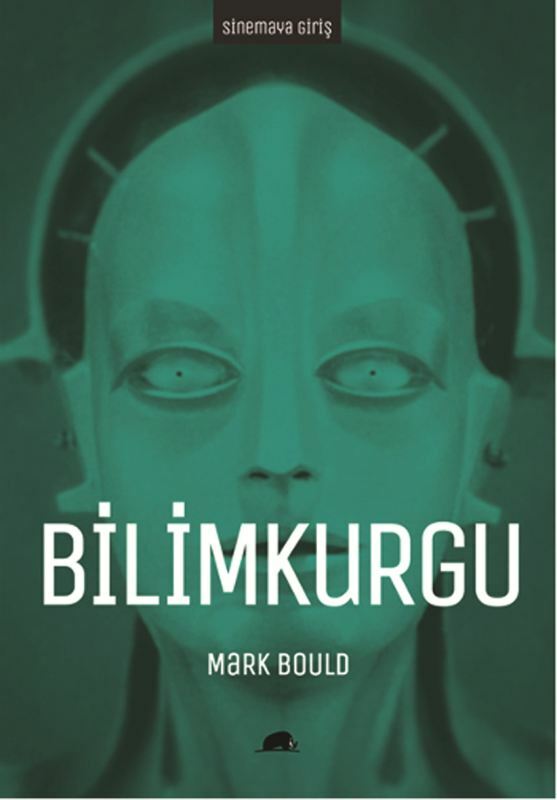 Hi Mark, have been reading your superb blog posts roughly since I’ve had more time to appreciate my supervisor’s goodwill gesture; he gave me a book as a gift, and the book is your publication, the one entitled BilimKurgu, which also appears as a cool image in this blog post. I still remember the day that it was given to me, I was so overjoyed, and the fact that it was coming from the author himself in the translated version of my mother tongue was great! Thanks very much again. You are all so brilliant people, and on the pretext of this, I would like to wish you, too, a happy and super 2016. My pleasure – glad you liked it. Have a great 2016. Best wishes, Mark.